This fabulous vase was made by Michael Hunter for Twists Glass in 2012. 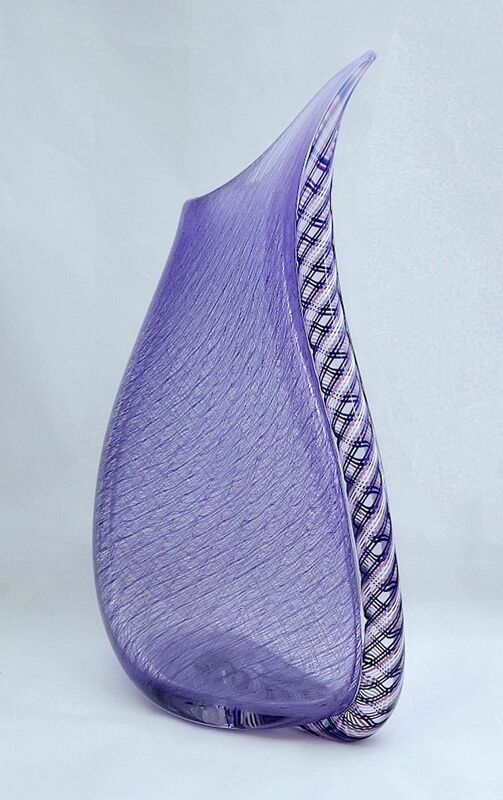 The teardrop shape vase is in purple merletto cane with a purple black and white zanfirico cane fused along one side. It is signed "M Hunter Twists 12 Merletto Wedge" and has the Twists Glass studio sticker.